Chewy oats, protein rich chia seeds, and creamy cashew butter make these Healthy Cookie Dough Overnight Oats a breakfast worth waking up for! Remember that song “Big Yellow Taxi” by the Counting Crows?! Well, the phrase above is from that song and it has been coming to my mind a lot lately. Before I get to how amazing this overnight oats recipe is, I want to share something a little more personal with you all. A few years back I was blessed with the opportunity to get 3D Lasik Eye Surgery. It was the most amazing thing to wake up with clear vision and not have to worry about contacts, solution, glasses, etc…especially with all the travel I did for my old job. But a few months after I had the procedure done, I started noticing that my eyes would occasionally go blurry. Thankfully, it was only when my eyes were really dry or tired and soon the blurriness went away. However, since moving to NYC last summer, my eyes have started getting blurry again. I didn’t mention anything to Brett about it at first, hoping it was just due to dryness or tiredness like the last time, but they continued to get worse and I started getting scared. It’s amazing the thoughts that go through your mind when something is out of your control. What if I go blind? What if Brett has to do everything for me? What if our plans to move overseas get cancelled because I can’t see or do anything? Pretty extreme thoughts, aren’t they? Once I realized my thoughts were heading in an unhealthy direction I told Brett about the blurriness I was experiencing. I also shared the thoughts I was having. It’s amazing how sharing what’s going on inside our heads with someone else brings peace and clarity! Brett and I were able to pray about it and he reassured me that everything would be alright. I was able to get a hold of my eye surgeon and they suggested some remedies for me to try before more extreme procedures are considered. Every night before bed I’m supposed to place a sock full of rice in the microwave, heat it up, and then place the sock on my eyes to steam them. They also recommended some omega oil pills for me to take. After 8 weeks of following these suggestions, we’ll reassess the condition of my eyes. In the meantime, I’m going to be grateful for the eyesight that I do have. In a way, I’m thankful for the blurriness I’ve experienced lately, because it’s made me more aware of how amazing sight is! I had forgotten how many colors, textures, and sights I take in each and every day. I had forgotten that my eyes allow me to cook, exercise, read, watch shows, and interact with people in a more personal way. Our eyes are truly wonderful things! So instead of waiting for something to be gone before I’m grateful for it, I’m going to try to appreciate the little (and big!) things I have right now! 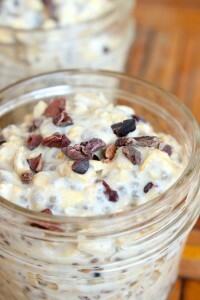 I’m also going to drool over how amazing these Healthy Cookie Dough Overnight Oats look! 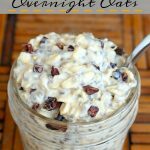 Overnight oats are so simple to make, they just take a little bit of planning as you have to prepare them the night before in order for them to sit in the fridge overnight. 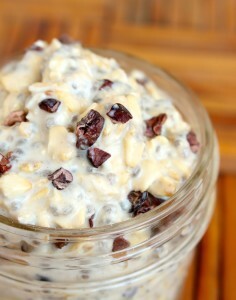 There a lots of different overnight oat variations, but the main concept is that oats aren’t cooked in a microwave or in a pan on the stovetop, but instead oats and chia seeds are mixed with milk, water, yogurt–or a combination of these ingredients–and left in the fridge overnight to soak. The result are cold, creamy oats that are ready for you in the morning and can be taken on the go and topped with whatever you want! When you prepare the oats the night before you can also determine what flavor you want your overnight oats to be by adding different spices, purees, fresh and dried fruits, nut butters and other add-ins like nuts, seeds, cacao nibs and chocolate chips! For vegan overnight oats, I like to soak my oats in plant milk for a richer, creamier consistency. If you have access to non-dairy yogurt, that is also a wonderful ingredient to use! One last thing I often add to my overnight oats is shredded zucchini, like I share in this Vanilla Protein Powder Overnight Oats with Zucchini Recipe. The shredded zucchini adds volume and micronutrients, without any veggie aftertaste! I’m seriously in love with this recipe! It’s simple to prepare, perfectly sweet, and full of texture. I’ve always been a lover of sweet breakfasts, but I’d rather not eat pancakes drenched in maple syrup everyday. This overnight oats recipe is the perfect balance between sweet and healthy. The oats and chia seeds supply protein and fiber. The cashew butter makes everything rich and creamy. The cacao nibs give crunch and added nutrients and the maple syrup provides just the right amount of sweetness! 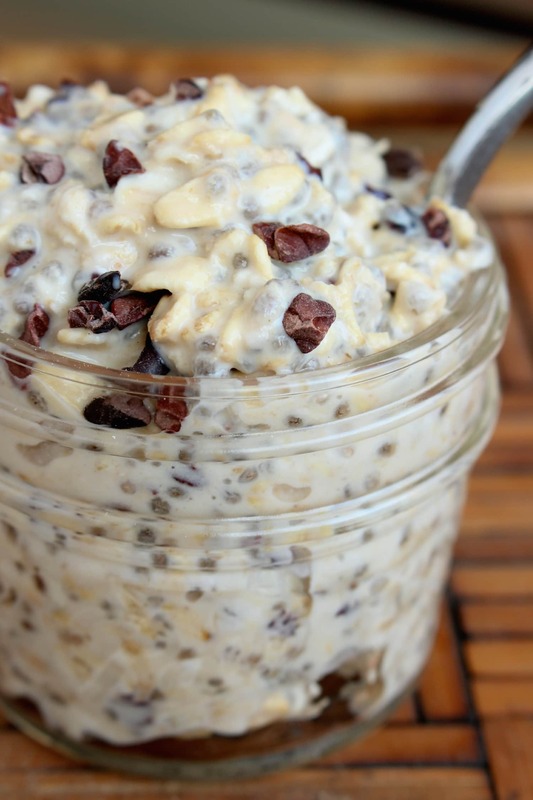 This Healthy Cookie Dough Overnight Oats recipe really does make you want to get out of bed in the morning! Plus, it takes just five minutes to prepare the night before and your breakfast is all ready for you when you wake up. Take it to go or eat it in the comfort of your own home. 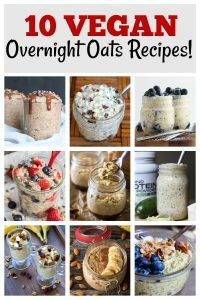 If you like this Healthy Cookie Dough Overnight Oats recipe, then be sure to check out this post: 10 Vegan Overnight Oats Recipes! I hope you guys enjoy this recipe!! Be sure to leave a comment down below and rate the recipe! Also, what are you thankful for today? 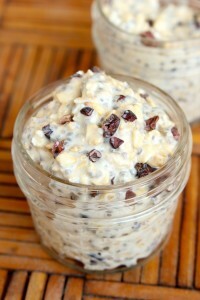 In a mason jar or bowl, mix together the oats, chia seeds, cashew butter, milk and maple syrup until well combined. Place in the fridge for at least 2 hours or overnight. Before eating, stir in the cacao nibs or other optional add-ins. 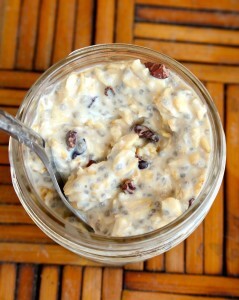 *You can substitute the cacao nibs for dairy-free chocolate chips, craisins, raisins, chopped dates, etc. Don’t forget to leave a comment and rate the recipe down below! This looks so good! Can I use another natural sweetener or does the maple syrup contribute to cookie dough flavor? Yes, definitely Suzanne! I love blackstrap and normal molasses or honey/agave would be great too. For dry sweeteners, I’d guess you’d use about the same amount as well. Enjoy experimenting and eating “cookie dough” for breakfast! I can’t remember if I saw this or not, but with placing them in the fridge overnight, is the jar of overnight oats covered or uncovered? Hi! I’ve done both and both ways work! I’m sure covered is a slightly better storage method, but I never run into issues leaving my overnight oats uncovered for just a night. If you leave it longer or make multiple batches for the week, then I’d suggest covering them. I hope that helps! I really hope you like it! And either sweet or unsweetened milk is fine. You just may need to adjust the amount of maple syrup:) no need to buy unsweetened!! Let me know how it turns out for you! I love those additions Lara! Thanks so much for sharing. I’ll have to try that out next time! Could almond butter be used instead of cashew butter? Definitely! I just find that the cashew butter give it a more classic cookie flavor. Both would be delicious though! How is your eyesight? I only just read this today… in case you‘re interested… my mother uses some vitamins called „preserve mac forte“ for her eyes and has significantly bettered the sharpnes of her vision. You can email me if you wish to know more about the brand and where to get them. Hi Tabea! Thanks for asking! My eyesight is great! I just discovered from that experience that when they’re dry or I’m over tired, they can not focus as well. But eye drops and good sleep fixed that problem and so can see great still! Thanks for sharing about your mom’s vitamins though! Found this through Pinterest and I had all the ingredients, so I was able to try right away! It was GREAT! I recently adopted a vegan diet, so I’m always looking for great recipes like this. Also, Faith, I noticed this post was written two years ago and you commented very recently. I hope that means everything is okay with your sight? Hope you see this and can provide an update! I’m so glad you found and enjoyed this recipe Megan! It’s one of my favorites and so easy to make. And yes, I’m still active on this blog. Thanks for commenting! What’s the calories in this recipe per serving and what would one serving be thanks! Need the calorie count for my meal prep. Hi Angelina! Thanks for your question, but unfortunately I don’t estimate the calories for my recipes. I’m sure there is a recipe calculator that you could use. Sorry I’m not much help. Good luck! Haha! Big Yellow Taxi is by Joni Mitchell. Been scrolling through your recipes, and looking forward to trying a whole bunch of them!! 🙂 Keep ’em coming! Hi Edie! I’m so glad you found this recipe and that you said hi! I totally understand on the cacao nibs. I think they taste horrible on their own, but I don’t mind them in sweet things. It’ll be good to see the difference in the oatmeal between the batch with cacao nibs and the batch with dark chocolate. And almond butter makes for a great substitute. Hopefully you’ll both enjoy the oats! 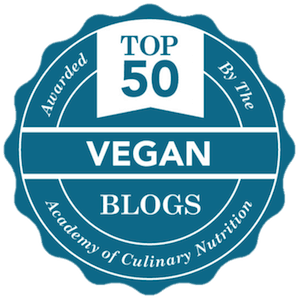 I hope the rest of my recipes come in handy for you as you try to eat more plant based meals. Let me know if you have any more questions! This was my first attempt at overnight oats and it was a success! I subbed peanut butter for almond, delicious. Thanks for sharing! Yay!! So glad you liked it Sarah! 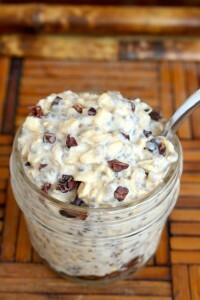 Overnight oats make mornings so easy…I need to make them more often! Any reason the chocolate chips can’t be added right away with everything else? What are the tan colored chunks in here? It’s just the oats! I don’t know why they showed up so tan. Hope that helps! Maybe I can get my teenager to eat breakfast!! Can’t wait to try this. Thanks. Delicious!!! My kids love this winning combination. I’m sharing this on my blog today. Thanks for a delicious recipe!! So glad you and your kids like this recipe! I was actually thinking of preparing it tonight for myself. Thanks for sharing as well! Do you heat these in the microwave the next morning or eat cold? I just eat it cold! Looks delicious! Can you add almond butter instead of cashew? Or natural PB? thanks! Hi Kristina! Glad you’re thinking of giving this recipe a try. You can definitely use almond or peanut butter. The taste will just slightly change, but either way it will be delicious. Hope you like it! If one does not like the texture of chia seeds do you recommend omitting them all together or substituting for something? Thanks mama!! I finally got some doctors appointments set up so I’m hoping to know what’s going on soon. Oh man, now I want a cookie dough bagel! On a food note, I've been wanting to try overnight oats for the first time and these look like a great place to start! 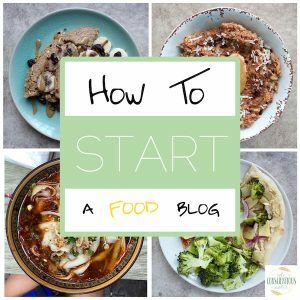 Liv @ Healthy Liv recently posted…Friday Favorites: lying, ice cream, and pasta, oh my! I hope you do Shirley!